Bellerbys College is a series of four coeducational private international boarding schools based in the UK (Oxford, Cambridge, London and Brighton, and teaches students from over 120 different countries. Dating back to Davies’s College since 1927, the college has been known to prepare students for entrance to Oxford and Cambridge and a tutorial college providing A-Levels and A-Level re-sits. Now, Bellerbys College is accredited by the British Accreditation Council (BAC) for Independent Further and Higher Education and is on the UK Register of Independent Schools. 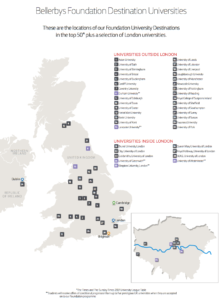 Bellerbys College is a series of four coeducational private international boarding schools based in the UK (Oxford, Cambridge, London and Brighton, and teaches students from over 120 different countries. Bellerbys College is accredited by the British Accreditation Council (BAC) for Independent Further and Higher Education and is on the UK Register of Independent Schools. Bellerbys has earned 37 Good Schools Guide Awards since 2005 and has won 26 overall. 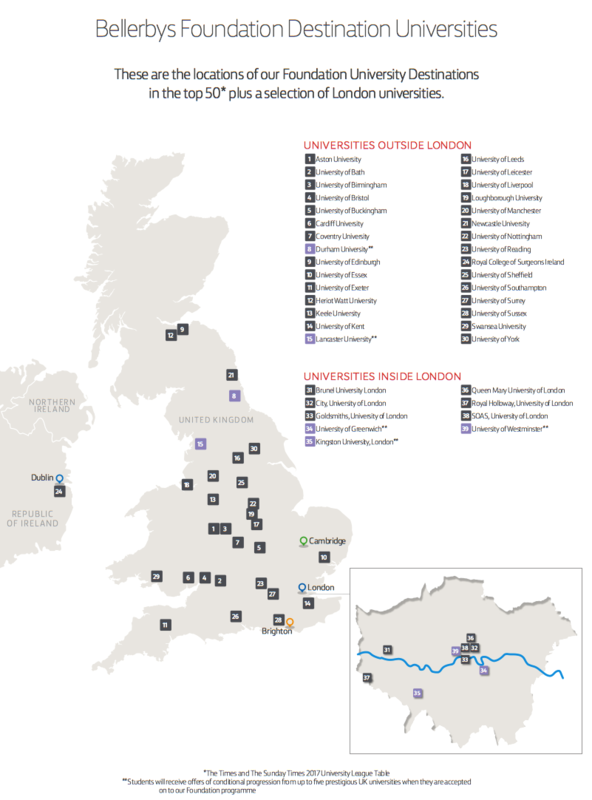 In 2015, 153 Bellerbys College students graduated to the UK’s Top 10 universities. 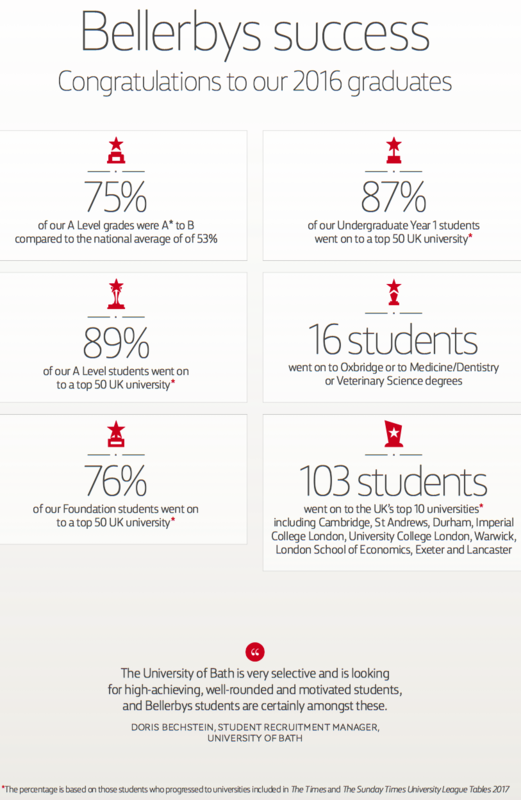 53% of Bellerbys College A Level students graduated to the top 20 UK universities and 79% of their Foundation students graduated to the top 50 UK universities. 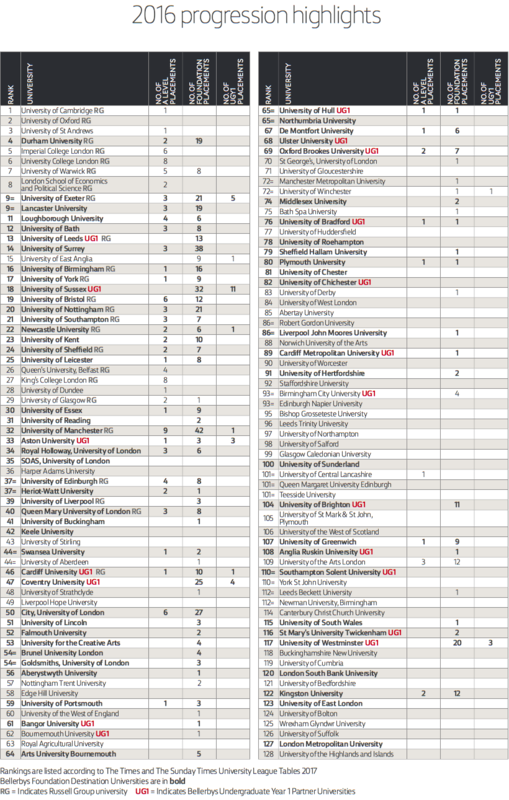 (University rankings are as according to The 2016 Times/Sunday Times University League Table). In 2012, Bellerbys College Brighton ranked 29th of all schools in the UK by the Financial Times 2012, for outstanding A Level results and over 1/3 of Foundation students gained places at the top 20 ranked UK universities. 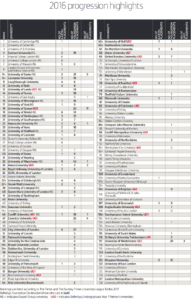 In 2011, the four colleges in London, Oxford, Brighton and Cambridge more than doubled the national average of A* and A grade A Levels with 60% of pupils achieving the two highest grades, and over half of the year’s finishing cohort graduated to the top ten UK universities (according to the Sunday Times University Guide 2011). In 2006 the college in Cambridge won 5 Good Schools Guide Awards for A Level results and in the last two years the colleges have won a further 12 awards in 2008 and 2009 combined. Bellerbys has earned 37 Good Schools Guide Awards since 2005 and has won 26 overall.